Minnesota’s extreme weather can produce storms that can cause damage to property. We are experienced in the restoration of exterior damage from hail, wind, tornadoes, and ice damns. Hail and wind storms in particular may have caused exterior damage that may be hard to see to the untrained eye. When hail or wind impacts a roof it may not cause an immediate leak, however the indentations will allow moisture to get under the roofing material and can cause leaking in the long run. Our team at Elysian is experienced in identifying storm damage and we offer a free no obligation storm damage assessment to all Minnesota homeowners. If your property does have damage, we can work with you through the insurance claims process and can fully restore your property. Does your property have storm damage? An experienced Elysian representative will come to your property and do a complimentary storm damage analysis. Not only will we provide you a full analysis of the damage, we will also educate you on the effects storm damage can have to a property. Some types of storm damage, hail damage in particular, can be hard to see with the untrained eye. That is why all of our representatives are fully trained and qualified at depicting storm damage to exteriors to a property. We meet your insurance company on your property to ensure that your assigned adjuster is properly assessing the storm damage to your property. We are there to represent you and ensure you are getting an accurate assessment. We work with your insurance company to ensure that your property is fully restored to better than before. After the adjustment, you will receive paperwork . This paperwork is the adjusters report which is an overview of what the insurance company is covering. An Elysian Representative will review the paperwork and ensure that they are adequately covering all elements to properly restore your property. Once this process is finalized and confirmed, we will begin the restoration process. We are experts on remediating and restoring a property after a storm. We are familiar with all codes in the state of Minnesota. Elysian provides 10 year warranty on labor which is relatively unheard of in the construction industry. Since we are a certified installer by the major shingle manufactures, you also are receiving the very best material warranties on the market. Elysian has extensive experience in insurance property claims and we extensive experience working with all insurance companies in Minnesota. 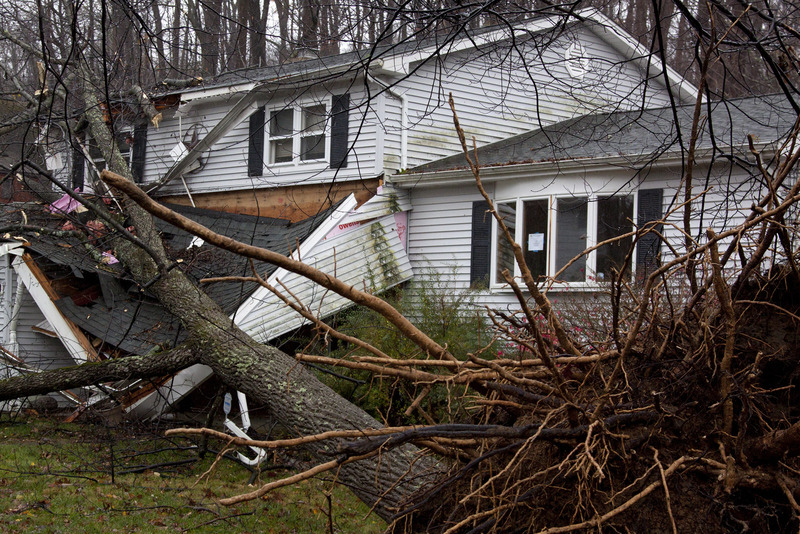 When it comes to storm damage, our knowledge of the insurance industry helps make the process easy for you. We take the headache and hassle out of the process for you. Elysian will work with your insurance company to ensure you. Are receiving a fair and honest assessment. The settlement covers the costs of materials and labor. Your property is properly repaired to pre-storm condition or better. Simply, no. The insurance company is paying for your restoration. Your only cost is your insurance deductible. Will filing an insurance claim effect my rates? Hail is considered a no-­‐fault claim (there is nothing you could of done to prevent it) An insurer cannot raise your rates just because you filed a claim. However, when a large storm occurs, an insurer may raise the rates of everyone who lives in the storm path, regardless of a claim being filed. Will my insurance company pay enough to get the job done? Yes. Many times the insurance company might make a mistake as to how they compensate you for the repairs to your home. In those situations, Elysian Construction has a dedicated staff of insurance professionals to properly identify and communicate all such areas and obtain insurance approval for corrections. Do I need to get an estimate? No. A contractor that is ready to give you an “estimate” on your insurance restoration job does not understand the insurance industry. The insurance company is paying for the repairs to your home and they set the price. Therefore, the ONLY estimate that protects you from out of pocket expense and guarantees you a complete restoration is one that the insurance company has written and/or approved. All contracts with a contractor should be on a “insurance proceeds” basis. The insurance company determines the depreciation based on a combination of objective criteria (using a formula that takes into account the category and age of the property) and subjective assessment (the insurance adjuster’s visual observations of the property or a photograph of it). The insurance company will withhold depreciation as an incentive to get homeowners to complete the job correctly. You will be able to collect the depreciation held by the insurance company when the job is completed. Why is my mortgage company on the check? Actual Cash Value (ACV), also known as market value, is the standard that insurance companies prefer when reimbursing policyholders for their losses. Actual cash value is equal to the replacement cost minus any depreciation (ACV = replacement cost -­‐ depreciation) and is the initial money you receive from the insurance company. Replacement Cost Value (RCV), simply stated, means the cost to restore the damage to your property with materials of the same quality. RCV is the Actual Cash Value plus (+) the depreciated value. This is the total amount to which you are entitled when the job is complete. What if there is more damage to my property than the insurance has covered? Elysian Construction will review your insurance estimate and compare it to what is actually damaged on your property. If there are changes to be made, Elysian will submit photographs and a “claim supplement” to the insurance company on your behalf. Elysian will engage in discussions with the insurance company in an effort to gain you additional coverage. The insurance company has final say and will communicate changes by way of a new estimate and/or a supplemental check made out to you. No. It is illegal by the State of Minnesota for a construction company to pay for your deductible. Speak with your sales representative, we may be able to offer you referral or advertising incentives. Elysian Construction requires a down payment of 50% of the job or the initial insurance check, whichever is less. You ALWAYS retain the majority of the insurance money to protect yourself as a consumer. Never pay a contractor with personal funds. Deposit insurance funds and always use those.